FrSky's brand new XJT telemetry transmitter module is compatible with transmitters that accommodate the JR style module form-factor. 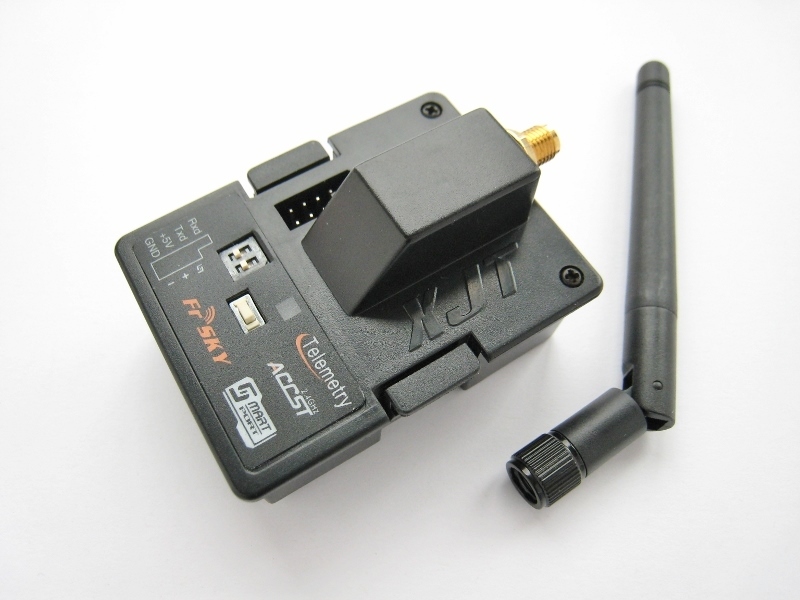 The XJT module is compatible with the FrSky X Series (telemetry) receivers. Added to the rear of the FrSky Taranis, the XJT can facilitate a total of 32 channels. FrSky ACCST system (Advanced Continuous Channel Shifting Technology) that provides a highly reliable link in interference rich environments. JR: 347, 388, 783, U8, PCM10, PCM10S, PCM10SX, PCM10IIS, 8103, J9303, MX-22, MX-24S, PX, 9XII, Eurgle 9X, Turnigy 9X, plus others, and of course TARANIS. If in doubt, please contact T9 for specific information about your system.